This beautiful corner house is for sale on the exclusive gated community El Panorama in Benimeit, Moraira. The semi-detached villa has recently been modernized, fully styled and can be moved into immediately! The park is entered through the entrance gate. You park the car near the house and reach the entrance of the house through the front garden. It is also possible to walk directly to the spacious communal garden. The 13 houses in the park are grouped around the large swimming pool. 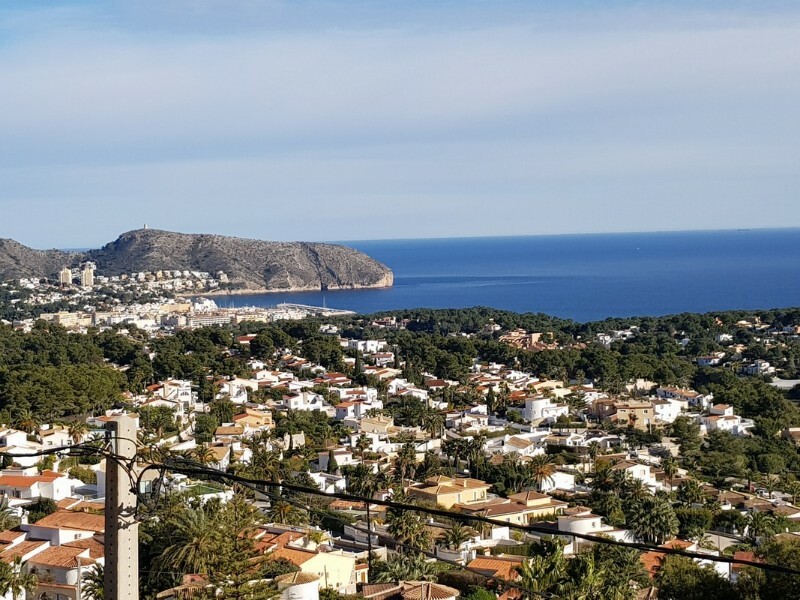 From here there is a spectacular view of the Mediterranean Sea, Moraira and the Cap D’Or headland. The spacious private terrace of the house connects to this courtyard garden. From here you walk through the open naya into the living room (with various Moorish details), dining area and kitchen. The living room gives access to an additional sheltered patio. An utility room and bathroom are also located on the ground floor. With stairs you reach the first floor. Here are three bedrooms, a second bathroom and a balcony with beautiful sea views. This Moorish style semi-detached and turnkey villa is definitely worth a visit. All furniture is included in the price, so you can immediately start enjoying the property!